Modern IT and computing infrastructure have grown beyond the typical on-premises physical and virtual hardware in data centers to more complex hybrid architectures. 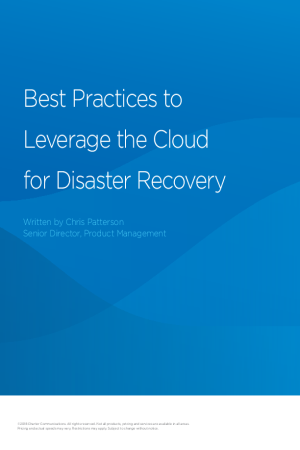 As a result, the associated disaster recovery (DR) implementations of tapes, disks or SAN-to-SAN replication have become more complex and expensive. Lowering risk and ensuring business continuity in the face of a disaster has become daunting for organizations of all sizes.